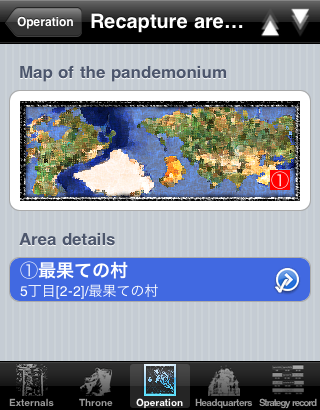 The flow of the game at start. 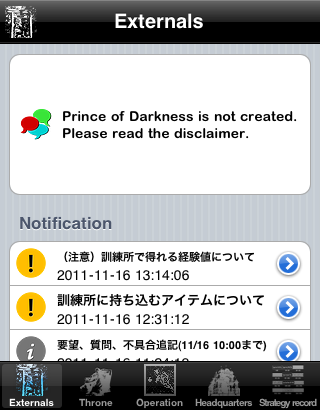 In the tab of “Externals”, “Prince of Darkness is not created.” is displayed. 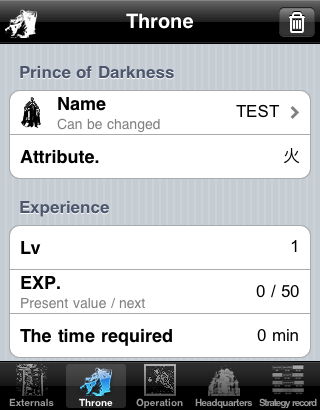 Click the tab of “Throne”, display the creation of “Prince of Darkness”. 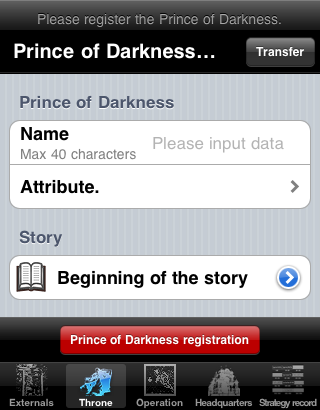 Enter “Name” and select “Attribute”, press the “Prince of Darkness registration” button. 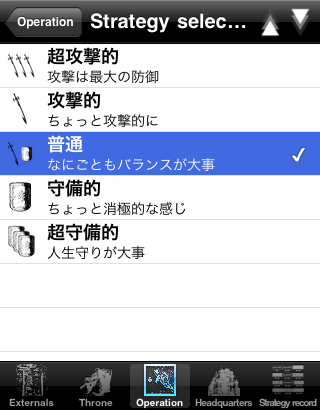 “Prince of Darkness” was created and the information of “Prince of Darkness” is displayed. 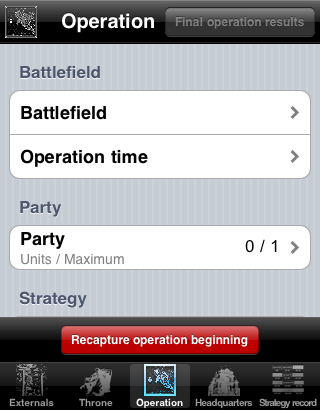 Click the tab of “Operation”, display the recapture operations. 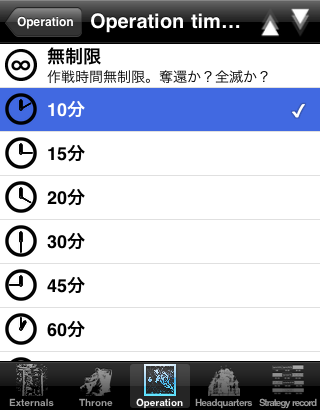 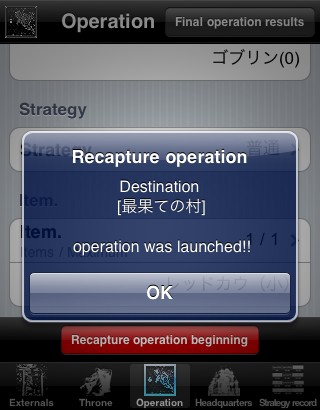 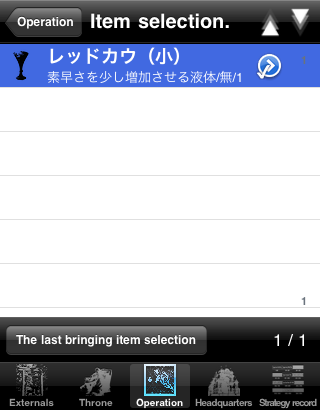 Click the “Recapture Operation beginning” button, Operation started. 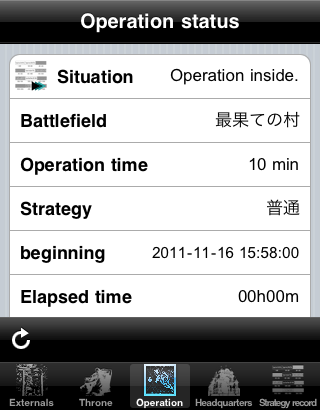 When you start the recapture operation, display the current operation status screen. 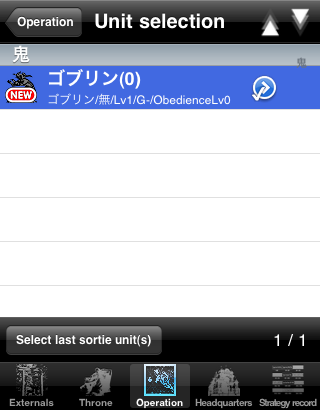 If the operation is progresses, this view will also change. 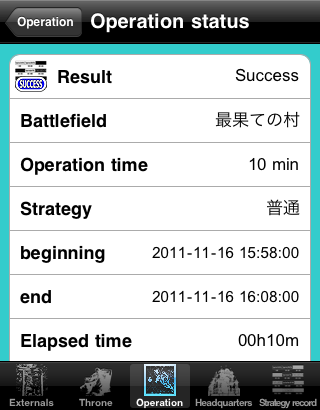 If the operation is finished, display operation result. 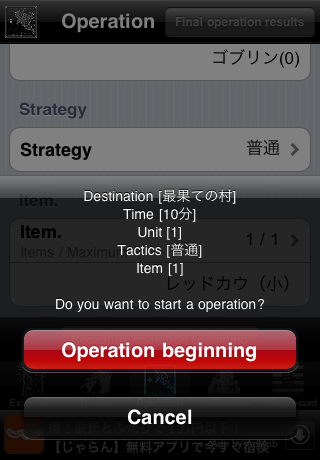 After finish operation, you can play again from section 3.